Levi Strauss will be worth about $6.5bn (£5bn) when the denim-maker rejoins the stock market after 34 years away. Shares in the inventor of the blue jean have been priced at $17 each, just above the target range of $14-16. 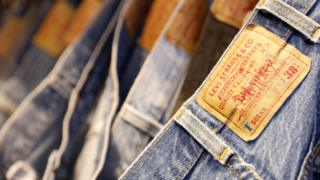 Levi's has sold $623m worth of shares to institutional investors before allowing the public to buy stock in the 166-year old company on Thursday. Levi's wants to continue to grow the company from men's jeans to more products for women as well as expanding its tops business.